Three months doesn’t seem that long of a time. But in a minor-league baseball player’s career, that’s half a season. That’s a lot games to play, and for Matt Swarmer, 2018 has been an eye-opening experience. He arrived at AA in late May after a dominating two months at Myrtle Beach. 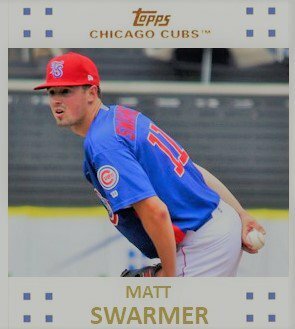 And as reported earlier, Swarmer added some weight last winter and that strength ticked his fastball up to 94 miles an hour. 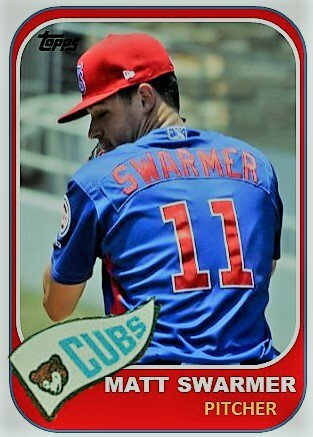 With his improved heater, a tightened up curve, an already plus changeup, and his funky delivery, Swarmer’s been the biggest surprise this spring and summer. However, when he arrived in AA Tennessee Tennessee, his outstanding 2018 season needed some adaptations. AA is such a huge step in development for a minor league player. It’s a big leap in talent, and for Matt Swarmer, he needed to make some adjustments and quick. His first month was not even close to the success story of the spring. In his four AA starts, he had a 5.63 ERA and his secondary stats were ironically were mostly similar to his first two months. He struck out 16 in 16 innings and walked only four. But the innings per appearance average of four was a bit disconcerting along with a WHIP of 1.50. Swarmer’s 2018 season got back on track in July. Swarmer began to locate and keep hitters off balance again. In his second month at Tennessee, Swarmer put up an ERA of 3.16 with 25 strikeouts in 25.2 innings over 5 starts. . It was an impressive turnaround from June and made many begin to take notice that Swarmer could just be for real. It was not all smoke and mirrors. In August, he continued what he started in July. In fact, he’s been even better. He is currently at five starts and is averaging about six innings per appearance this month with a 2.73 ERA and 30 Ks in 29.2 IP. He will likely have one more start before the season ends Monday. For the year, he is neck and neck with Myrtle Beach’s Cory Abbott for the minor-league pitcher of the year. It’s coming down to the final start. The most impressive thing for me about Swarmer is the number of guys that he has made miss versus walked. In 122.2 innings, between Myrtle Beach and Tennessee, Swarmer has struck out 130 batters and only walked 20. That’s basically just over a 6 to 1 ratio; that is just astounding. 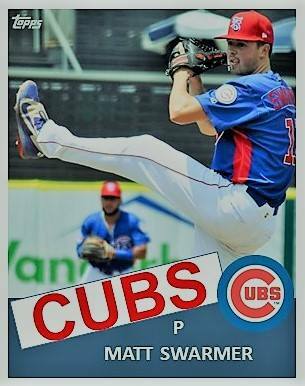 Considering his advanced development this year at such a quick pace, sometimes I wonder if he could be a candidate (as a reliever) to go to the Arizona Fall League. Then again, he’s thrown a career high number of innings and will wind up with almost 130. I wonder how his stuff reacts coming out of the pen. However, based on what he’s been able to do at AA, a relief role might not be in his future. Come 2019, it should be fun to see how he shows up next spring and if he’s continues to add weight and clicks to his fastball, or if he stays the same size and maintains his current flexibility and pitches. He is one of the great stories of the year. ‹ PreviousThe Weekly: Playoff Hunt Winding Down, DSL Ends, and Promotion Commotion.